Sainsbury’s favourite tweets: This month’s instalment sees Tweets from the Tu relaunch, the start of the Summer Series and our tasty new pet food (so our furry friends tell us). Check out our favourite Tweets from June 2013. Journalism is now something you do: A wonderful piece by @MatthewI about why it is more difficult than ever to decide who qualifies as a journalist, how it makes for a confusing media landscape and why that is a good thing. Close to the bone: I found this first one in a list titled ‘10 new reasons to hate advertising‘. Unsuspecting train passengers – resting their heads against the window – suddenly hear an ad for Sky Go in their head. A little device sends vibrations through the glass and these are picked up and interpreted by the brain as sound. It’s called ‘bone conduction’ and it’s actually being used by Sky on trains in Germany to promote their service. It also means we’re now no longer safe from advertising when we’ve got our eyes closed, dozing on public transport. It’s also why the this video was the only thing on the list of 10 new reasons to hate advertising – it’s terryfing enough to make up for nine other advertising sins (HT @usvsth3m). Build it and they won’t come: But not all advertising is evil. In fact, there’s a strong argument that without it, even the best products (Rdio) don’t stand a chance against mediocre products (Spotify) because they still believe in that old adage: build it and they’ll come. That might (have) worked for Facebook and Instagram, but it shouldn’t be the rule. A lovely post from @AndrewDumont about how the core team for any product should be made up of a developer, designer and marketer (HT @jcolman). Websites you visit will influence the Twitter ads you see: Over in the US, Twitter is experimenting with new ways of allowing advertisers to tailor ads for its users, depending on what they get up to when they’re browsing other websites. Good for advertisers (they have more of a chance to reach the right people with the right message at the right time), but possibly intrusive for users. Mind you, is it not better to get ads that are relevant to your interests? Also, as much as I love Twitter, would I pay for it? 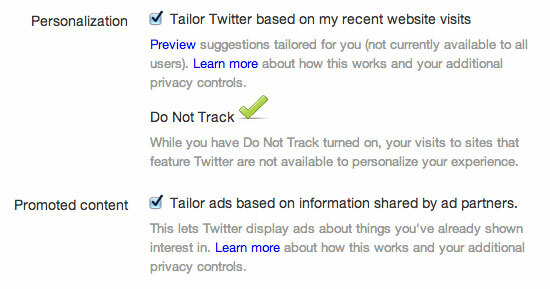 Still, Kudos to the Twitter folks who in their announcement post also clearly note that as they support ‘do not track’, you can opt out quite simply from your account settings screen. Credit where credit’s due: A great example of how to win at social media this week from @Tescomobile (I know, those guys). With their 140-character response to a derogatory Tweet about their service, the Tesco social team not only defused this troll, they received a bunch of kudos (10k+ retweets) and did it by matching perfectly their social tone of voice to that of their above the line campaign, thereby underlying their customer service credentials. Hats off chaps. Social coppers: Not only have they got better weather and mid-afternoon naps are more or less obligatory, the Police in Spain really do get the benefits of embracing social. Officers in Granada have the force Twitter handle sewn into their uniforms and it’s also on their police cars. Why is this good? @HelReynolds believes it demonstrates openness, legitimises social and it’s plain old common sense. As the BBC has also noted, so-called ‘Tweet raids’ (where the official police account in Spain @Policia calls for witnesses and information on crimes) have proven to be very successful in bringing criminals to justice and have led to the arrest of 300 individuals in Spain last year. For a British approach to social media policing, make sure to check out the wonderful @SolihullPolice and their best efforts. Tech Nation: Turns out that according to the Newsworks/Kantar media’s Tech Nation quiz I am a ‘social addict’, one of the five personality types derived from answering 10 or so quick questions about what kind of devices you own and your attitudes to certain tech-related situations. The depressingly accurate definition is below and supposedly significant of the ‘lifestyle-choices’ I’ve made (HT @MindyB_). Newsworks/Kantar have put together this simple tool to promote their research into the tech habits and landscape in the UK. They found that the UK spends more than £50 billion a year on technology products. Unsurprisingly then, £1.5 billion was spent on tech advertising in 2012, up from £1.4 billion in 2011. And finally: The Samsung Apex (definitely NSFW, HT @ghensel and @TheOnion). Runner, Bromptonite and very happy when #Arsenal or #Germany win at football. Love all things digital. Product Owner for #SainsburysDigital. Views my own.